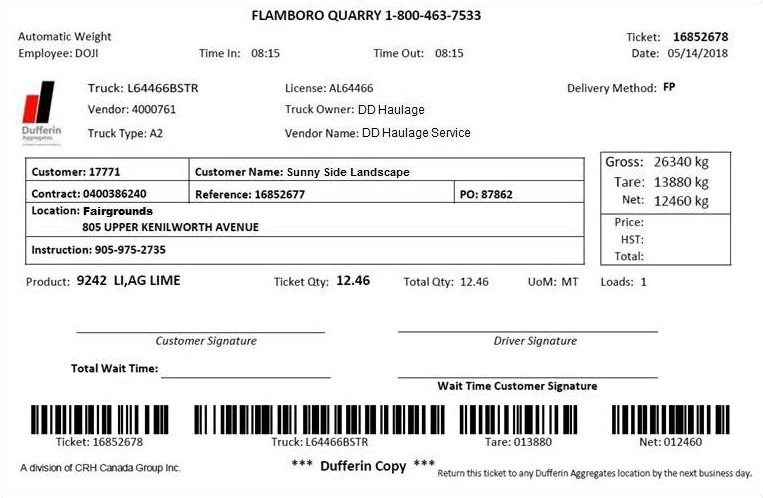 Dufferin Aggregates is excited to introduce the roll out of our new ticket format! We have improved the layout of the ticket to create an easier read for our customers. We have also improved the shipment details as they will now appear more structured. In addition to enhancing the look of our tickets, we have upgraded to laser printers, allowing us to move to a new two page design with quicker print times.